YOUNG & ASSOCIATES, PA, established in 1995, provide civil engineering services for private landowners and developers, architects, construction contractors, and commercial, industrial, and governmental clients. With over 34 years of land planning and design experience, the firm’s principal engineer, Christopher R. Young, PE, provides a wide range of engineering resources and expertise to any project. Y&A can deliver full service project engineering services from platting and zoning, street and drainage design, to construction engineering, project management, and inspection. Our design teams utilize state-of-the-art design software and electronic field data collection systems, to produce reliable and cost effective design plans. Y&A is also experienced in Federal, State, and Local regulatory and permitting requirements, including ADA, SWPPP, and other site compliance issues. Y&A’s offices and building interiors were completely remodeled in 2018. In addition to updating the overall building appearance, the newly remodeled office space focuses on enhanced computer network accessibility and creating more open space. 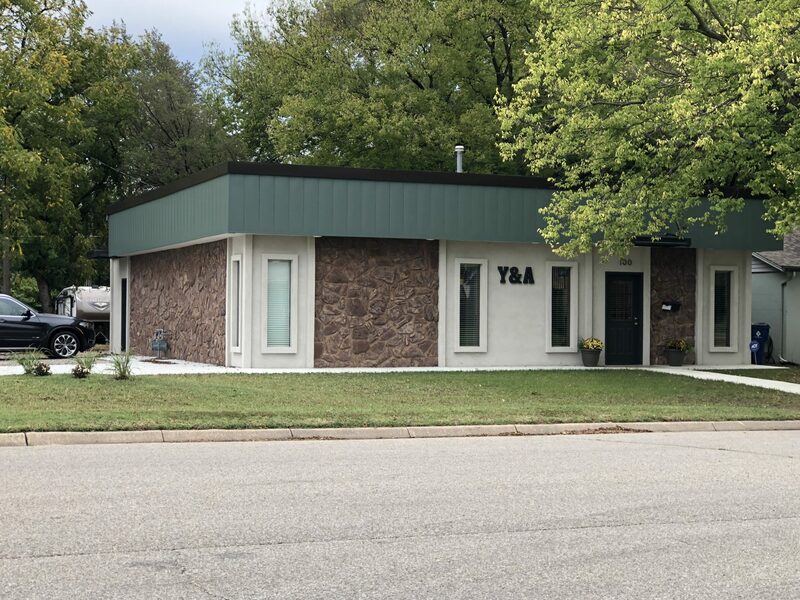 The quiet and convenient location of Y&A’s offices (located one block east of K-15) provides an efficient and comfortable working environment for both employees and clients.